PrestaShop Order Fetch App bridges the gap between your PrestaShop Webstore and the inquiry of your Webstore Customers. Confirm the order related details by fetching it from the PrestaShop Webstore on the ticket for the validation and avoid fraud queries. Why do you need PrestaShop App Integration? The integration of PrestaShop Channel is super easy and takes less amount of time of the customer to integrate. Display the details of any order number of PrestaShop Webstore on the ticket system to fasten the support process. How to fetch order details from PrestaShop store directly on ticket system? 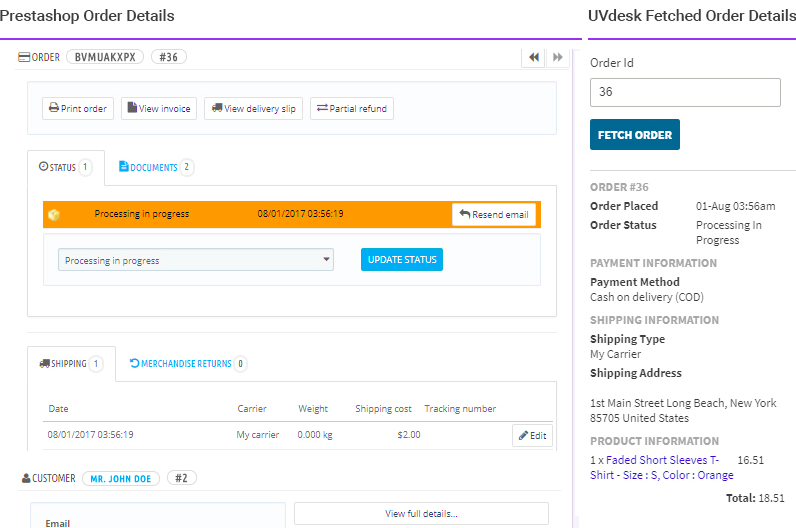 Using PrestaShop Order Fetch App, you can easily fetch order related details on UVdesk ticket system. How to create new Webservice key in PrestaShop Store? To create a new web service key, you need to go to Advanced Parameters -> Webservice. After that, you can click on Add new web service key. What all resources I have to select for fetching order details? Under Resource section, you have to select all the order related resources under View (GET) to enable access to these resources. These are the details that will be presented to you when you request for any order details. Can I create helpdesk form for my PrestaShop Store? 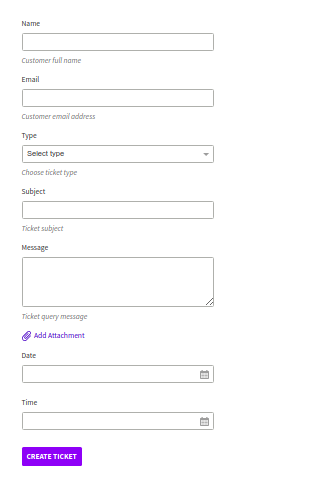 You can easily create helpdesk form using Form Builder App in UVdesk. The forms created are secured from attacks like SQL Injection, XSS and CSRF and queries made through form are easily converted to tickets.